To complement the story about the Leadership in Social Responsibility Interest Group, I was asked to share my thoughts on how my Mines experience helped me become a successful leader. By no means am I a pundit on leadership, so after accepting the request, I found myself wondering how best to sound somewhat profound. My solution was to change the topic to how each of us can be better leaders and help our alma mater achieve our common goals of continuing to train the world’s best engineers, support alumni and secure the long-term vibrancy of Mines. Engineers have the ability to dramatically impact projects, influence outcomes and provide inspiration. That is why it has been a long-held belief by many that we have a social responsibility in the work we do. Let’s not forget either that these are often the reasons why we are passionate about our work. Each of us realized early in our education that both self and group leadership skills are important to finding success in our careers. Leadership is a practical skill, and hard work and critical observation can nurture the development of this skill. They are traits Orediggers have always been known for. The point here is that there is a great pool of Mines alumni to draw upon in helping develop these skills in our current students and throughout the alumni network. This was, in part, why the various interest groups were created. 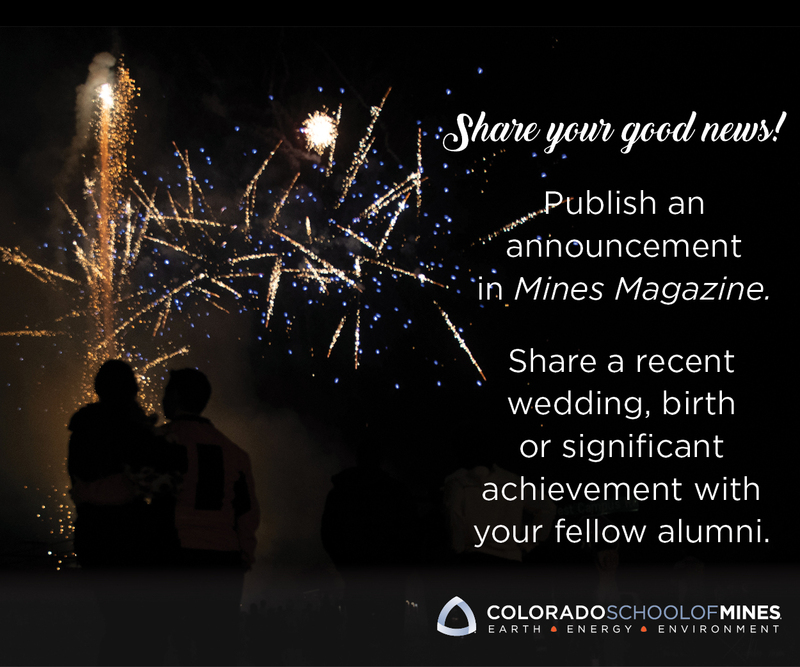 Alumni have the opportunity to support Mines through sharing our skills and knowledge, while further building on that foundation. Be it Social Responsibility, Entrepreneurship, Aerospace, Women in Engineering or STEAM, each of the new interest groups needs individuals interested in exercising and developing leadership and helping enable others to better lead or guide teams and organizations in the future. Orediggers understand the importance of teamwork and the value of being conscientious about human impact. No matter how smart and knowledgeable we individually may be, the group makes us better. As Dwight D. Eisenhower said, “The supreme quality of leadership is unquestionably integrity.” I agree and am proud that our graduates stand out and that our shared integrity has led to our success. So pick your opportunity, get involved and exercise your individual leadership. You will feel your passion grow.